You’ve probably been working hard, day in and day out, your entire life. And while, like many people, you did so happily in order to provide for you and your family, retirement has probably always been in the back of your mind. But every year retirement age seems just as far away.Maybe there’s a little voice in your head that whispers something about retiring early, that you try to ignore, but it’s getting louder and louder.We’re here to tell you that, if you’ve been responsible and have been diligently socking some money away for retirement, there are actually some really good reasons to retire early. Maybe it’s time you listen to that little voice. We only get so much time here on Earth, so you should make the most of it. There is a lot of satisfaction that you can take from work, but the same satisfaction can be found elsewhere. How many books are out there that you’ve been meaning to read? On average a person aged 15 to 44 reads only for 10minutes or less every day. How many hobbies like reading for fun, woodworking, or hiking have you pushed off simply because you didn’t have enough time? By retiring early, you give yourself the time you deserve todo the things you’ve always meant to, but just didn’t have time. We’ve all got friendships that may have fallen by the wayside due to obligations at work. One minute you’re talking to each other every day, the next minute you haven’t seen them in 10 years. After the age of 25 most people start shedding friends at a rapid rate. Retiring early allows to you rekindle these friendships not just with friends but with family too. As you get older, the younger generation moves into the age where they are starting families of their own, and as you know it takes a lot of hard work. By retiring early, you are giving yourself the time to go help your friends and family when necessary.You’ll probably find this type of “work” as satisfying as clocking in 9 to 5. How many different states have you been to? How many other countries have you seen? Unless you travelled for a living, probably not many. One study reveals that 11 percent of people have never left the state they live in. Thirty-two percent say that they have been to 10 states or fewer, and 40 percent say that they have never left the country at all. If you haven’t visited a foreign country, you are missing out. There are so many amazing things to see out there, and there is no better educational experience than immersing yourself in another culture. By retiring early, you are giving yourself a bigger chance to explore this amazing opportunity. Less than 20 percent of workers today have a job that can be considered exercise and it shows. Obesity rates have been climbing every year according to the same report. 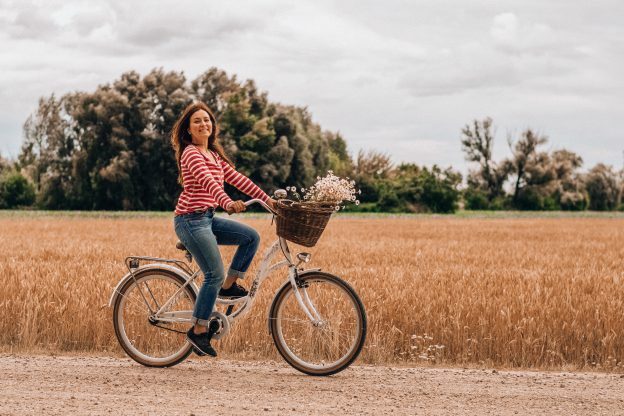 If you feel like you are a bit out of shape, retiring early can help you get out of that rolling chair and onto a bicycle or hiking path. By retiring early, you are giving yourself more time to reverse the damage of a sedentary job and enjoy your golden years being fit and active, which will have the side effect of giving you a longer life and therefore a longer retirement. If you are inspired to retire early, there is one thing that may be stopping you, aside from ignoring that voice in your head: money. This is obviously the biggest hurdle to anyone’s retirement, but there is a way to get a cash infusion and a little closer to an early retirement. Did you know you can sell all or a portion of a life insurance policy, even term life? If you have a life insurance policy that you don’t need any more and want to get rid of that monthly premium payment, you can sell it to help fund your early retirement. Contact Life Settlement Advisors today to see how we can help you reach retirement early. Case Study: Jim and Nancy bought life insurance when they were younger to protect their children’s futures. Now the kids are grown and have good jobs, their youngest is 48 years old and they no longer needed the coverage. Jim’s financial advisor told him he could sell his unwanted life insurance policy for an immediate cash payment. Jim andNancy sold their life insurance policy and used the proceeds to pay off a few medical bills and supplement their retirement.